Good gear can withstand the rigors of a long-distance bicycle tour. We're still using most of the same gear we got in 2009 after Eric's bike was stolen. Quality gear can be pricey, but spending more upfront may save you a lot down the road. If you're on a tight budget, look for deals on Amazon or try to pick-up second-hand stuff. We got our Thermarest sleeping mats at a garage sale ($5 each) and they are still giving us a good night's sleep 7 years later. When you're on the road year round and love the challenge of biking in high mountains such as the Himalayas and the Andes, a lightweight and extra warm sleeping bag is a must. Down is highly prized because it’s one of nature’s finest insulators. 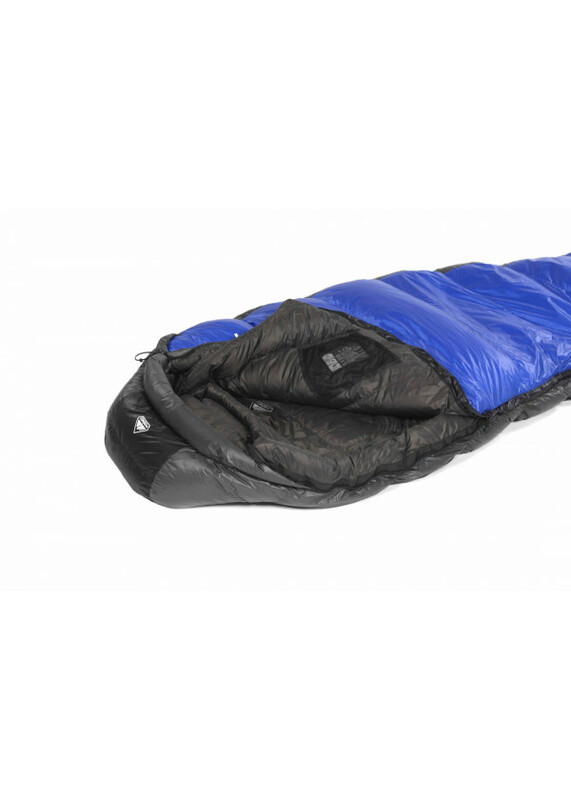 Our 850/750 fill power down sleeping bags from Pyrenex are light, easy to compress, long-lasting, and breathable. I'm using the Pyrenex Nepal 1700 down sleeping bag which is rated for comfort down to -11 Celsius (12 Fahrenheit). 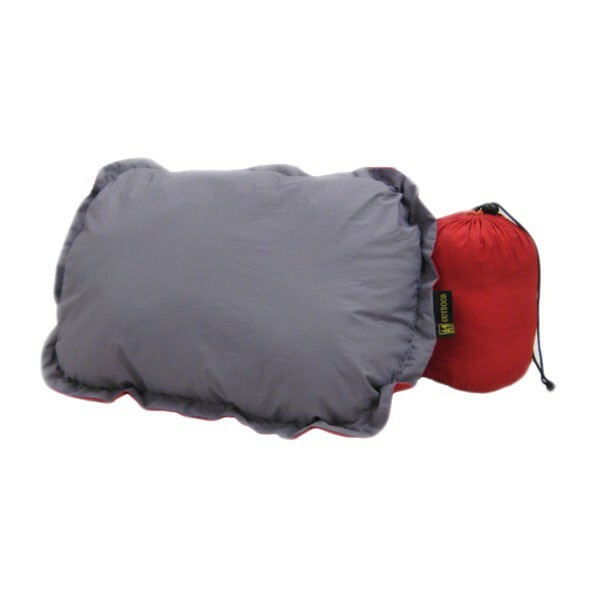 Eric is going with the Ladakh 1200 down sleeping bag which has a comfort rating of -2 Celsius (28 Fahrenheit). Both bags have a water-repellent outer fabric, are made of high-quality duck down, and designed in France. 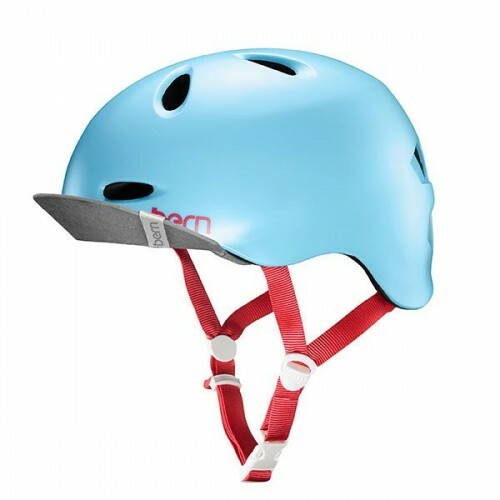 To be honest, I was never a huge fan of wearing a helmet until I got my new Melrose helmet from Bern unlimited. Other helmets I've worn have all felt too heavy on my head and I couldn't stand wearing them for more than a few hours. The Melrose uses a special zipmold design that gives it a higher strength to weight ratio than traditional helmets. It's also got 16 air vents and a pretty cool design. 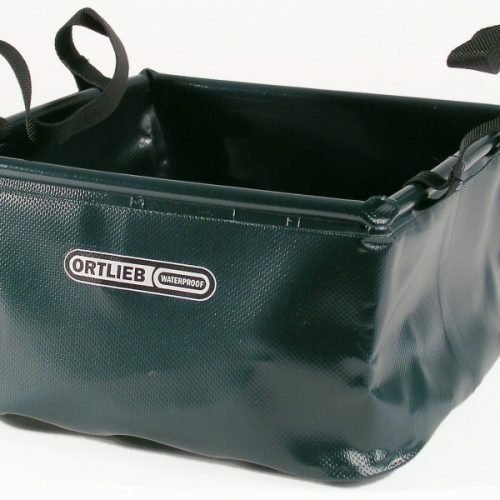 We use Ortlieb's 20-liter folding bowl for doing laundry, washing dishes and even the occasional bath. An ESSENTIAL piece of gear. We've been using the same folding bowl for 7 years and it is just as strong and sturdy as the day we bought it. Most bicycle travelers will probably be content with the 10-liter bowl or even the 5-liter bowl if you really like to bike light. If you plan on stealth camping, you'll need to carry extra water. Two 10 liter water bladders from Ortlieb work for us. 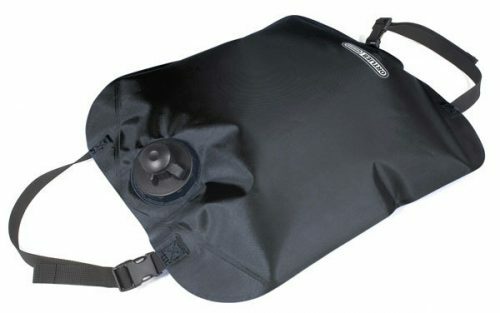 We've been using the same water bladders on a regular basis since 2009 and they are still in excellent condition. We store them with the top open to prevent mold and mildew from taking hold. When full, the water bladders can be attached to your bike fairly easily. Our bladders have a shower nozzle which is great for washing away the dirt at the end of the day. 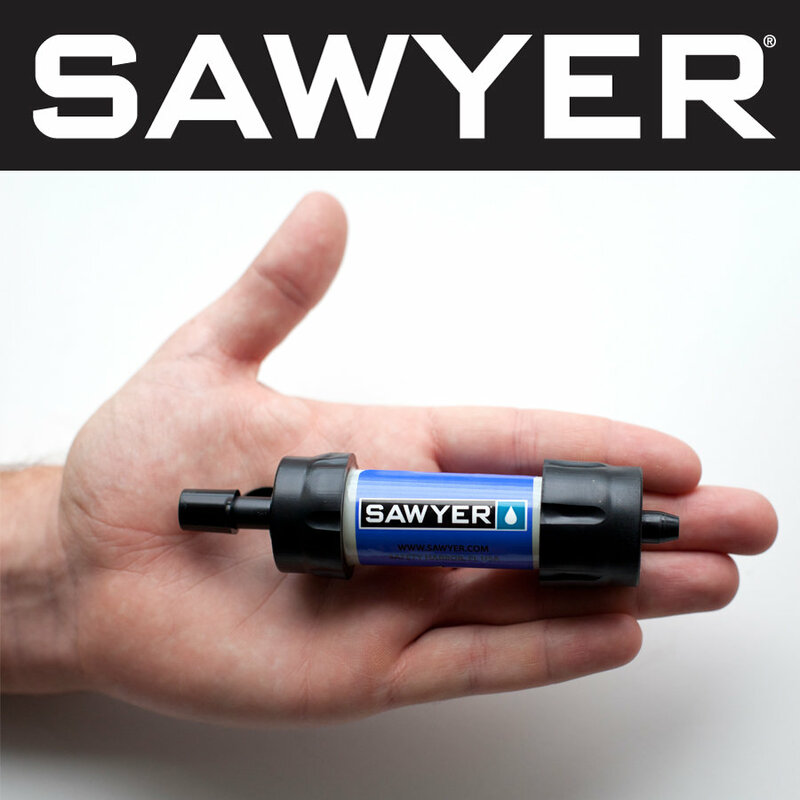 Sawyer water filters are incredibly small, surprisingly easy-to-use and very reliable. 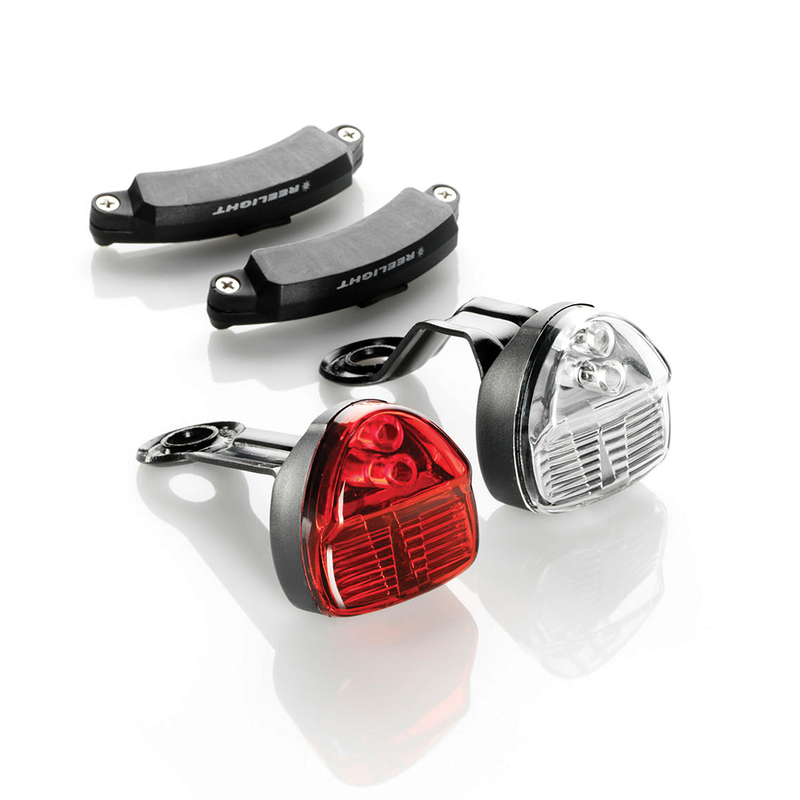 They're great for multi-year bicycle tours because you can use them for up to a decade without needing to replace anything. 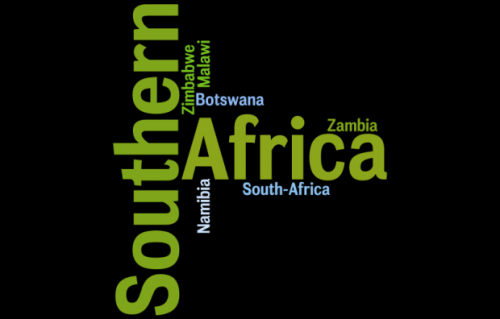 Sawyer filters are certified for ABSOLUTE microns which means it's impossible for harmful bacteria, protozoa, or cysts like E. coli, Giardia, Vibrio cholerae and Salmonella typhi (which cause Cholera and Typhoid) to pass through. What's most incredible is that there's no pumping, no chemicals, and minimal waiting. We thought Sawyer sounded too good to be true until we got one and found out it lives up to all the hype. After years spent recharging batteries, we couldn't be happier with our new Tikka USB headlamps. We just plug them into the computer or right into a wall socket to charge them. 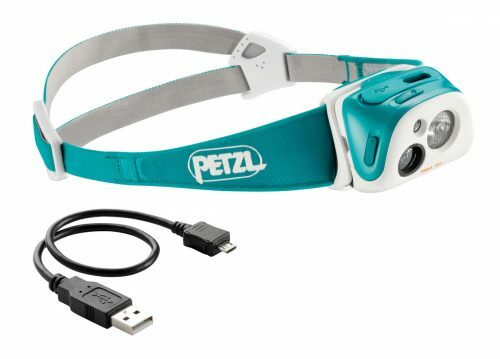 The headlamp is incredibly bright, and has a special wide-beam option making it great for cycling after dark. Want to stand out in traffic and reduce your chance of getting into an accident by 32%? Try no-friction, no-battery, flashing lights from the Danish company Reelight. They're easy to install, won't slow you down, don't need batteries and make cycling significantly safer. What's not to like? I've been using this sleep sack since 2009 and it is still in excellent condition. The bamboo blend sleep sack is heavier than a silk sleeping liner but the advantages are well worth the extra weight. 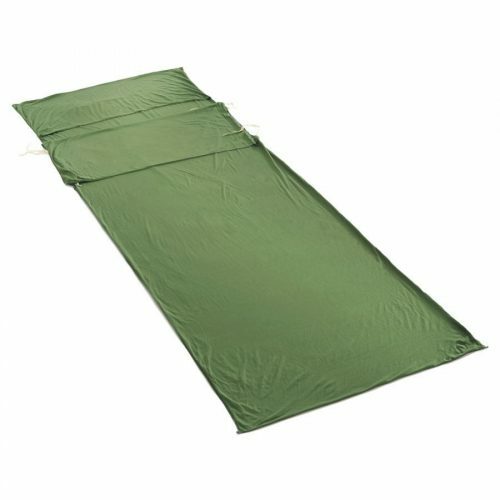 The silk sleeping bag liners we used between 2006-2009 wore out after just a couple of years and provided little extra warmth. The bamboo liner is soft and stretchy and perfect for those in-between nights when it's not quite cold enough for a sleeping bag. Quadlock is the lightest, strongest and most secure smartphone mount on the market. Why attempt to navigate with your smartphone in one hand as you ride? That's just asking for an accident. 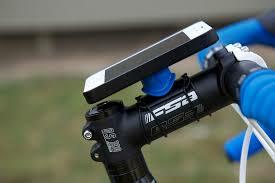 Do yourself a favor and mount your phone on your bike with a Quadlock. 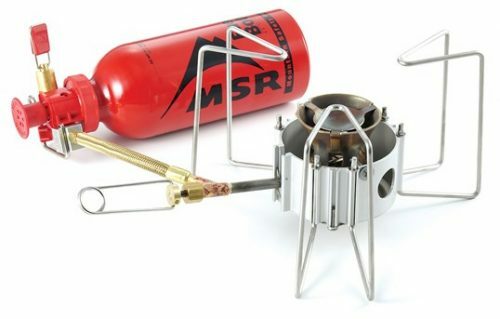 The lightweight and easy-to-use Dragonfly MSR multi-fuel stove makes cooking in the wild a snap. The Dragonfly is proving to be very reliable and needs cleaning less than once per month. The Dragonfly's advantage over the Whisperlight is that you can easily control the temperature on the Dragonfly. The disadvantage of the Dragonfly is that it's noisy--sounds something like an airplane taking off. Before switching to the Dragonfly in summer of 2016, we used our MSR Whisperlight for about 7 years. The whisperlight was still working, but required more and more cleaning as it aged. Personally, I prefer the Whisperlight. Eric, who's in charge of maintaining the stove, prefers the Dragonfly. This system is very easy to pack up and is so compact it fits perfectly in the left corner of my front pannier. The kit is perfect for two and is made of hard anodized aluminum, which is strong but light. 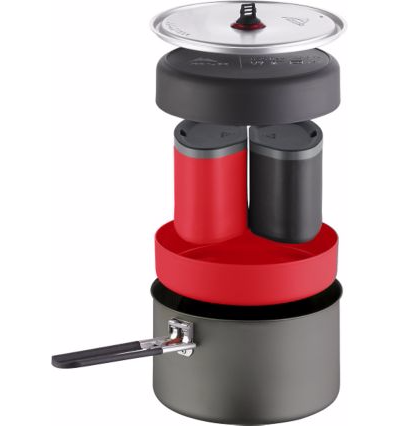 The clever nesting design saves space, and the set comes complete with insulated mugs and deep plates that are perfect for porridge or pasta. I've made pancakes and fried eggs in the pan and nothing sticks at all. You actually clean up with a simple wipe and don't need water. The insulated mugs are great at keeping coffee hot on chilly mornings. I absolutely love my thermarest. It is more comfortable than at least 70% of the beds I've slept on. Our mats were purchased second-hand at as garage sale and must be 20 years old. We have been using them regularly since 2009. 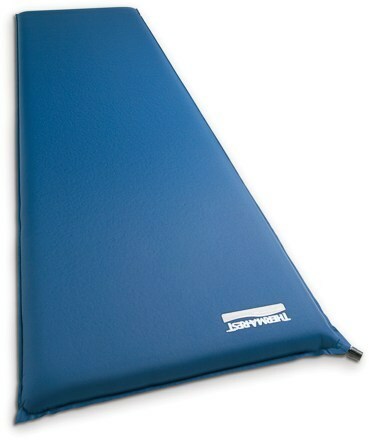 The classic mats are heavier than many newer thermarest models, but we're glad to carry a little extra weight knowing we won't have to deal with a punctured mat. The quality of this product is outstanding. A pillow is not a luxury item. If you ask me, it's essential for a good night's sleep after a long day cycling. Our lightweight compact pillows come from Grand Trunk Goods. It' s impossible for us to begin pedaling without a cup of strong coffee. For almost a decade we prepared mediocre coffee with a simple filter. Then we discoveredAeropress! Life changing would not be an understatement. I love my Aeropress even more than my Smartphone and Kindle combined. The Aeroprees is lightweight, compact, easy to use, and easy to clean. PLUS it makes amazing coffee. If you like real coffee on the road, this is a must-have piece of gear. 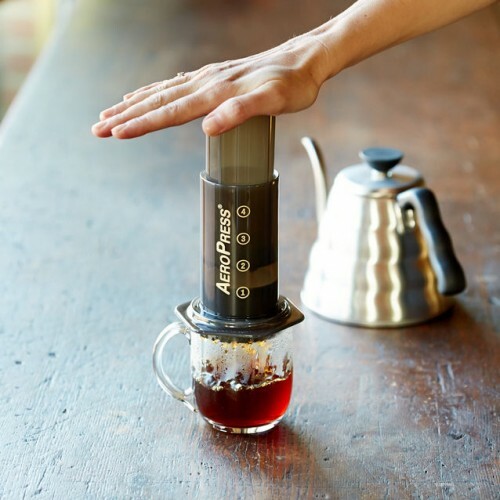 Great for making coffee at home, too. Using a mirror is one of the cheapest and easiest ways to significantly improve your safety when cycling. 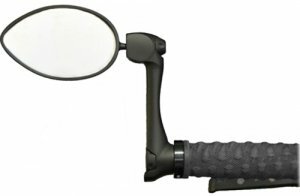 The Urbie mirror from Cycle Aware is one of our favorites. It provides great visibility, so you can keep an eye on traffic. And it's both versatile and durable. Best of all, it clips on with an easy, one minute, tool-free installation. All you have to do is turn & go! 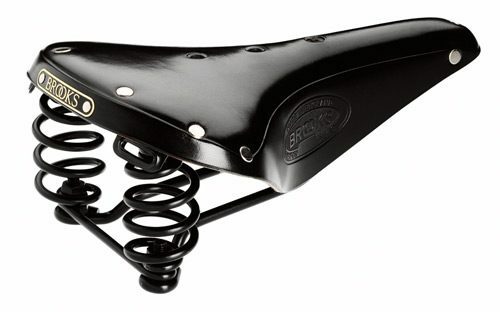 Brooks has been making quality leather saddles for over a century and a half. Brooks has provided us with a comfortable ride for almost 120,000 miles. We love our Brooks Saddles! Really love them. In fact, we find them so comfortable that we ride without special bike shorts. I'm on my third Brooks saddle, and each time I've found the new saddle quite easy to break in. After about a week of riding, each one has been perfectly comfortable. We'll be testing out the world's smartest straps as we cycle Scandinavia. 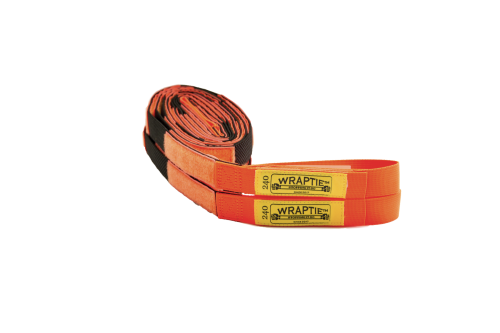 Smart and functional, WRAPTIE™ tie down straps are perfect for fastening, cinching, and bundling! Even the best built traditional kickstands can break under the stress of an overloaded bicycle. Foldable and lightweight CLICK-STANDS are a great alternative. We've been using a click-stand for the past 6 months. They're really easy to click together and fit easily into the side pockets of our panniers. The click-stand does a fairly good job, but you do have to be careful to lock the front wheel or the bike could tip over. The click-stands are all custom made in Washington state by a very nice gentleman named Tom Nostrant.